THIS WEEK’S OTHER FEATURED BOOKS, “WHAT ENTERS THE MOUTH,” BY SARAH JEFFERIS AND “SILVER GIRL,” BY LESLIE PIETRZYK, CAN BE FOUND BY SCROLLING DOWN BELOW THIS POST, OR BY CLICKING THE AUTHOR’S NAME ON OUR AUTHORS PAGE. THE BOOK: The Science of Lost Futures. 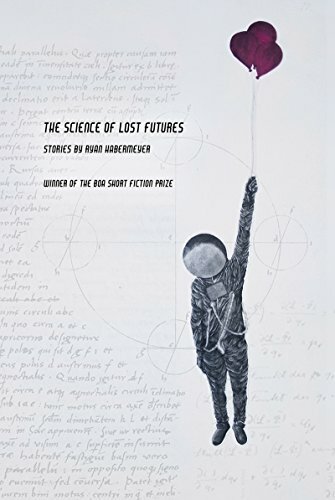 SUMMARY: The Science of Lost Futures is a prize-winning collection full of quirky humor and intelligent absurdity. Drawing on urban legends, internet hoaxes, and ancient medical folklore, these stories full of cage-rattling unusualness go beyond science fiction and magical realism to create a captivating collection of fabulist narratives that revel in the alien and the absurd. THE BACK STORY: I’ve been writing stories for as long as I can remember. Some long, some short. Mostly weird things happening to weird people. The stories collected here were written over a 13 year period. And I wrote it for the money, of course. And the booze. And the drugs. And the women. And to one day write an autobiography about all these things and sell the movie rights. I mean, why else become a writer? WHY THIS TITLE? : A good title is hard to find. Especially for a short story collection where you’ve got to find a title that provides a kind of thematic umbrella for all the varied pieces. This particular title is taken from a line in one of the stories. My fiction explores what I like to call sideways reality. There are other names for this style of writing— magical realism, fantastical, speculative, slipstream, surrealism—but I prefer sideways reality. Or fabulist. Fable, folklore, fairy tale…those terms conjure a traditional past while at the same time projecting a hypothetical future. Nostalgic but futuristic. That’s what I’m after. I’m drawn to sudden intrusions of the absurd, the magical, the grotesque on the fabric of everyday life. Characters on the fringes of experience: haunted by the pasts they can’t escape and longing for uncertain futures just beyond their grasp. There was something about the phrase “science of lost futures” which I thought captured that sentiment. WHY WOULD SOMEONE WANT TO READ IT? This is a somewhat humorous question. I mean, why would anybody pick up a piece of dead tree and decipher scribbles of ink? It’s insanity! And yet books are alchemical. Is the book unique? Revolutionary? Innovative? Maybe (a ringing endorsement of my work, I know, which has just given my publisher a heart attack). I study folklore and fairy tales so I’m of the somewhat jaded perspective that we’ve arrived late to the game of literary history; there are no new or unique stories to tell. But what I hope readers will find are echoes of a fairy tale past in these stories; echoes of alien realities, fantastic possibilities. Not retellings or adaptations of traditional tales, but the affect—the feel, the ambiance, the mood—of once told tales uneasily fusing together reality and fantasy. AUTHOR PROFILE: Ryan Habermeyer is Assistant Professor of Creative Writing at Salisbury University with advanced degrees from the University of Massachusetts and University of Missouri. When he’s not teaching he dabbles in marriage and parenthood. It is rumored he once arm wrestled WWE superstar Ric Flair in Venice Beach. He is currently writing a novel-in-prose-poems set in the afterlife. He welcomes any and all discussions on that which is weird, bizarre, strange, otherworldly, cryptic, absurd, spectral, uncanny or otherwise inexplicable.